New York State University takes pride in its outstanding educational system, even with comparably low tuition cost among state universities across all America. A total of 67 state universities including community colleges now exist in New York. - Located in the capital of New York: Albany. – Very Prominent in the fields of economy, humanity, and biological engineering. – Approximately 18000 students in school, 10% are international students. - Located in the second largest city of New York: Buffalo. – A large university that includes all four fields of medical science -pharmacy, dentistry. The Field of Pharmacy in particular is within the top 5 universities in the US. – Contains the largest number of majors in school curriculums (380) among US universities. – Approximately 35000 students in school, 7% of which are international students. - Located in a region nearest to New York City: Long Island. – Notably smaller than other vniversities – hard to enter as a result. - Located in New York Inland area: Binghamton. – Very Strong fin the fields of natural science. – Easy to transfer to fields of medical science or pharmacy. – Also hard to enter due to its small size. 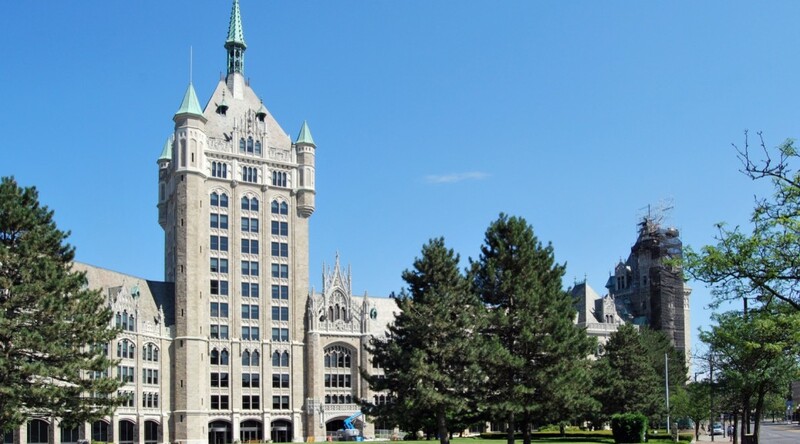 We at IP Education International have been appointed as the representative office for State University of New York at Albany since the year 2008. We hope to continue our endeavors to further help future students enter this university. – Qualification for Entrance: GPA (3.0/4.0), TOFEL (IBT over 81), recommendation letters, and an essay. – Conditional entrance is also possible in case of an insufficient IBT score.